I've been interested in messing around with the 3do files since JK first came out. I've been poking here and there, trying different things out, seeing what worked, seeing what didn't. For a long time I wanted to be able to make good, new player 3dos (my first attempt was the Santa skin, but it wasn't as good as I hoped). Now, thanks to the latest version of JED and a little smarts, it's possible to create new, good-looking player models without too much trouble. This will require some knowledge of 3dos and JED editing. 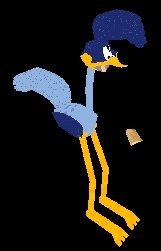 For this example, I'm going to make a new model of the Road Runner from Loony Tunes. I picked this because it's very different from any existing player 3dos, and changes will be obvious. 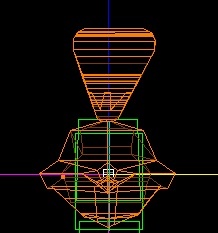 As you can see, the k_torso mesh has been replaced by part of the neck. 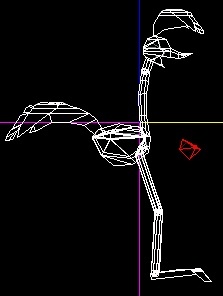 The k_hip mesh has been replaced by the body and tail. The arms are replaced with tiny, invisible tetrahedrons. The rest of the body parts are basically the same, transferred into a roadrunner shape. Keep that open- you'll need it in a minute. Go back to jed and start a new project. 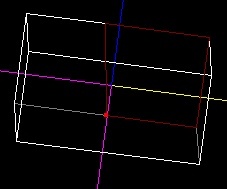 This will be used to make turning the textured meshes into the actually 3do- it'll save time, believe me. You're going to have to create a sector with the same number of faces as there are textures. This is quite easy in this case- just take the basic box and cleave one side in half, so there will be seven faces. 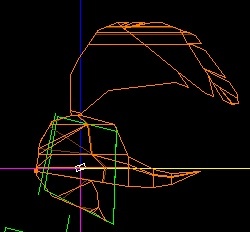 Then go through each face one by one (starting with face 0) and put the corresponding texture from the 3do onto it. 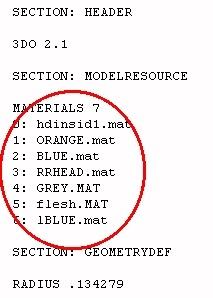 Face 0 will have hdinsid1.mat, face 1 will have orange.mat, face 2 will have blue.mat, etc. The only things which might be different are whether or not they're capitalized. If there are differences other than that, you've done something wrong. Go back and check to make sure you've done everything exactly as told, from where you created box.jed file. Do this for all of the different meshes- copy each from the main jed file and paste it into box.jed. 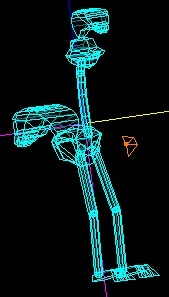 Export each as a separate 3do file, with descriptive names for each mesh (torso is torso.3do, hip is hip.3do, etc.) Check each time to make sure that the texture list is correct. © Copyright 1998 LikWid and The Massassi Temple.